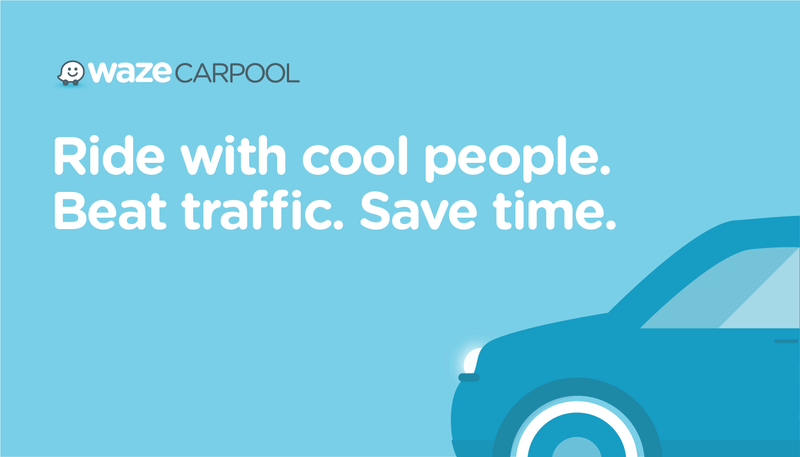 Waze Carpool: Ride with cool people. Beat traffic. Save time. We’ve teamed with RideAmigos and Luum — two of the leading commute management platforms in the U.S. — to help Wazers enjoy every benefit their daily commute has to offer. RideAmigos and Luum work with employers, universities, and municipalities to offer perks for commuting more efficiently. Starting today, Waze Carpool rides are included! Now, every ride you take with Waze Carpool means racking up more rewards on either platform. From subsidies to gift cards, look out for new ways to #WazeWin once you connect your Waze Carpool account to your RideAmigos or Luum profile. You’ll have faster, friendlier, cheaper commutes, and take full advantage of your employer, school, or municipality benefits. Make your voice heard — reach out to your HR team and encourage them to include Waze Carpool in your commute benefit programs. There’s no cost to your employer, and your carpool rides will be even more rewarding. Share the magic of Waze Carpool — bring your local community and company together to make the most of rides happening anyway.